According to my extensive research (i.e. 3 seconds in google), the single malt component of this blend spent a good deal of time in Oloroso sherry casks. Taste: honey, raisins, grain. 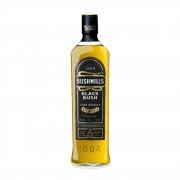 There is a spikiness of grain, it is not dominant and adds some gentle bite to this smooth dram. Finish: short, smooth, a collection of the floral, grain and oak notes with green apples. Short finish that is consistently blends its flavours. From start to finish this is a gorgeous blend. For me, this does bridge the gap between blends and entry level single malt and is worthy of a permanent fixture in my bar as a soft spoken friend.